Summer Camps in Washington don’t get better than Adventure Quest! For each week we will have an afternoon Sword Skirmish following the quest. This is an optional 1.5-hour add-on for extended programming that includes many active dueling games. 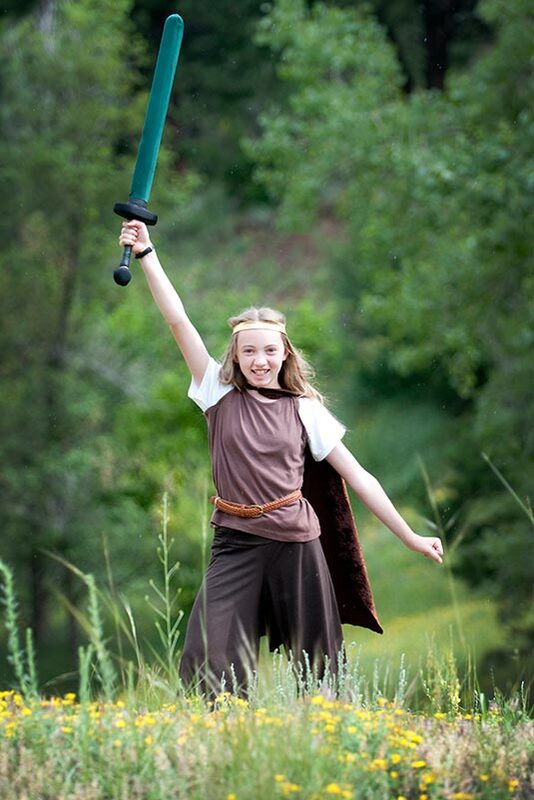 In Adventure Quest, the children and teens become the heroes of an incredibly fun and dynamic quest, working together in a mythical and magical world to overcome interesting challenges, solve mystifying riddles, brainstorm unique solutions to puzzling dilemmas, and swashbuckle with foes. The campers experience the excitement and confidence that comes from banding together to defend their village, solve a perplexing mystery, or negotiate a peace treaty. Wielding safe foam Swasher swords, the campers play dueling games and act out challenges like fending off a bullying ogre or a thieving band of pirates, in an environment that teaches good sportsmanship, fair-play, and respect for others. Then they exercise their minds as they try to piece together the clues in a coded riddle and follow a map to buried treasure. Campers end the week feeling empowered, excited, and full of stories to tell. Each week of camp is a unique “Quest” – an interactive story that engages the campers’ imaginations while teaching them the fundamental principles of responsible empowerment, creative problem-solving, and cooperative conflict resolution. An extra hour and a half of sword dueling games for the quester who’d love more physical activity in the day! Dwarves vs Goblins, Shapeshifter, Spy, Scorpion’s Nest, and other popular Swasher games that we play during lunches will be played in this program, as well as other team-based challenges that questers have not yet experienced. Cost: $45/week or $15/day drop in. We offered one week of Sword Skirmish Club last summer, and it was immensely popular. You can attend Sword Skirmish this even if you are not attending the quest for that week (at the drop-in rate). 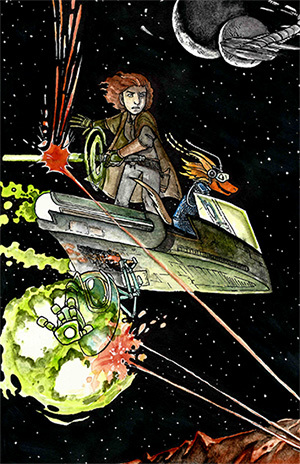 Star Quest is perfect for kids who like Star Wars or other science fiction. 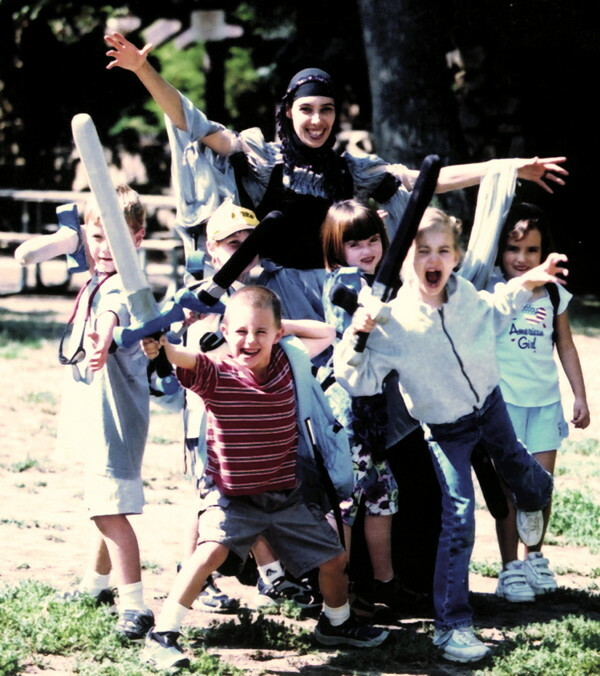 The Knight CIT offering at Majestic Adventures is a unique leadership program where the teens become the mentor to a group of younger kids and assistant to our adult counselors. By engaging in one of our exciting programs (such as Adventure Quest), Knight CITs help with activities, challenges, storytelling, plot dynamics, characters, safety, and leadership. After a Knight CIT completes training, they may sign up to attend any of our day camp programs as a Knight CIT at 50% of the cost of the program. Once they are deemed to be “Master” or “Grandmaster” they may sign up for our programs as a Knight CIT for free. To be a Knight CIT, the teen must be at least 13 years old, have passed Knighthood Training, and be in good standing. Time: M-F, 10:00am – 3:00pm. Price: $135. All Knight CITs must own an Adventure Quest Game Book (available for purchase through our store or during registration).